The Supreme Court delivered its decision this week in UKI (Kingsway) Limited v Westminster City Council, a significant case concerning the service of documents in the sphere of business rates. The Court has allowed an appeal by the billing authority, Westminster Council, by deciding that a completion notice handed to a receptionist (who subsequently scanned and emailed the notice to the intended recipient) was properly served, even though the receptionist was not employed by the recipient and the method of service did not strictly comply with the applicable statutory procedure. Liability for non-domestic rates depends on the property being entered as a hereditament in the rating list. For an unoccupied building to be brought into that list, a completion notice must be served by the billing authority. A validly served completion notice has the effect that the building to which it relates is deemed to have been completed on the date specified in the notice. It is then shown in the rating list as a separate hereditament and is valued, for rating purposes, as if it were complete. Once the building is so shown in the rating list, its owner (or, if it becomes occupied, its occupier) becomes liable to an assessment for non-domestic rates. 3. where the name or address of the recipient cannot be ascertained after reasonable inquiry, by addressing the notice to the recipient by the description of "Owner" of the building (describing it) and fixing the notice to some conspicuous part of the building. In early 2009, UKI began the redevelopment of 1 Kingsway, London to provide 130,000 sq ft of office space. In February 2012, Westminster Council informed UKI's agents that it intended to serve a completion notice specifying a completion date of 1 June 2012. It asked the agents to confirm the identity of the owner of the building, but the agents declined to do so without obtaining instructions from their client which were not forthcoming. At that time, the building was managed by Eco FM (Eco) under a contract with UKI, but Eco had no authority to accept service of documents on its behalf. In March 2012 the Council delivered a completion notice by hand to the building, specifying 1 June 2012 as the completion date. It was addressed to "Owner, 1 Kingsway, London WC2B 6AN" and given to a receptionist employed by Eco. The receptionist scanned and emailed a copy of the notice to UKI. UKI and Westminster disagreed over whether this constituted valid service. The Court was asked to consider whether it mattered that the notice reached the intended recipient, not directly or through an agent authorised for that purposes, but by the action of a third party. The Court said that the real issue was whether the Council caused the notice to be received by UKI, and that, in the circumstances of this case, it had. The other main issue that the Court was asked to consider was whether it mattered that the notice was received by UKI by way of email. 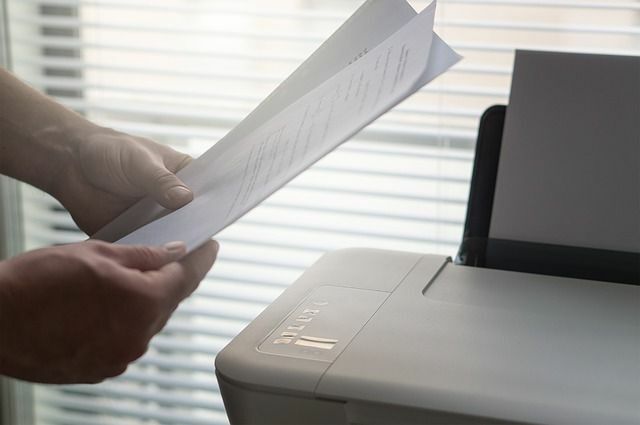 The Court referred to previous case authorities where service of legible copies of documents by fax had been accepted as valid. The Court confirmed that there was no good reason for distinguishing transmission by fax from transmission by email, as had occurred here. The decision has been heralded as a vote of confidence from the Supreme Court in electronic communications where the content is legible and complete and the applicable statutory procedure does not have the effect of excluding other methods of service available under common law. "If a notice is correctly addressed, but mistakenly delivered to a neighbour who passes it on to the intended recipient, there is no reason why that should not be treated as effective service under ordinary principles...even though that neighbour was not under the control of either party"
Flexible leasing: is it being let down by the business rates system?